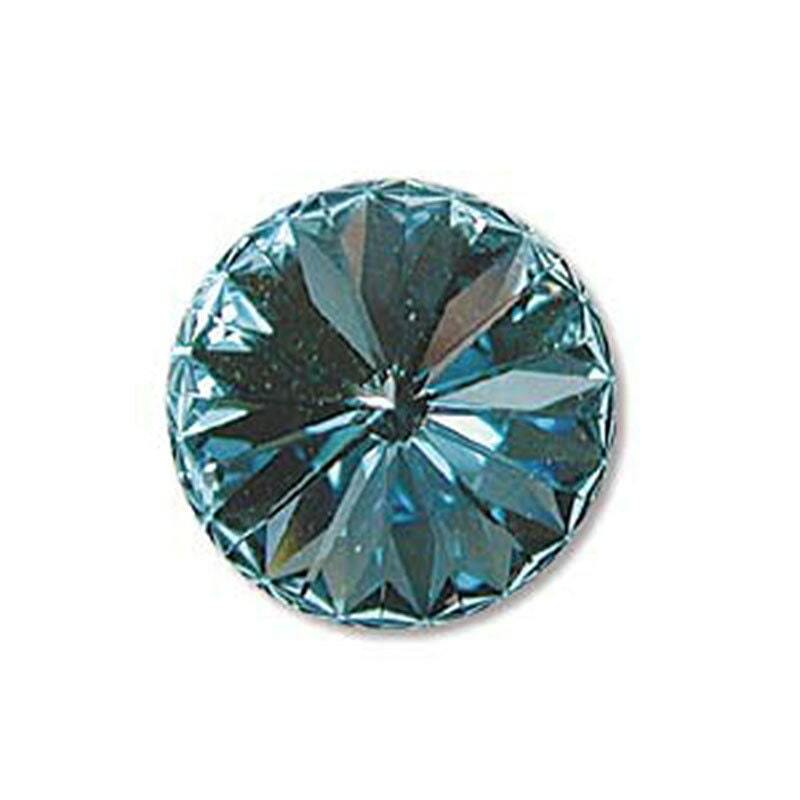 Swarovski Elements Aqua 14mm foil back rivoli stone. These rhinestones have fantastic flash with a captivating sparkle. Rivoli rhinestones have no holes and have a single-sided foil backing that creates intense reflectivity. Pointed top and bottom adds increased depth and sparkle. These crystals are genuine Swarovski crystal. This photo doesn't show the beautiful color and the sparkle that this rivoli really has. It's just gorgeous and will be the main event in any beading project. Great price for this rivoli with fast delivery. I love how more beautiful this is in person. I love the way it shines. I am a first time user of this and cant wait to make a necklace.